For a weekend trip or a cross-country move, sometimes you will need to transport your pet by vehicle. You may do this yourself, or you might hire a professional pet transporter. Either way, there are several things you can do to keep your pet safe and happy during the car trip. Before sending you animal for transport, it is a good idea to make a check-up appointment with the vet. The last thing you want is to transport an unhealthy pet. This is dangerous, and can be dangerous to other animals around your pet. While you have time, speak with your vet about the upcoming travel plans and find out what you can do to ease the journey for your pet, which may include medication. Begin to acclimate your pet to the car. If your pet does not usually ride in the car, let them wander around your car while it is parked. Then, start taking your pet on short trips around the neighborhood, watching for signs of carsickness or anxiety. Usually, your pet will be fine in the car as long as you are in the car with them. If you hire a professional pet relocation services, however, make sure your pet is comfortable with strangers. A pet training course before handing your pet over to a stranger is a great idea; it helps the pet transporter handle your pet better and lets you live with a well-behaved animal. It will also help to introduce your pet to the transporter while you are there, so they are familiarized and feel a sense of trust. 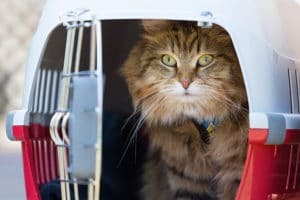 If you are hiring professional pet relocation services, make sure you know what supplies they are providing and which supplies you are responsible for. By preparing your pet properly for car transport, you will keep your pet safe and you (or your professional shipper) happy. 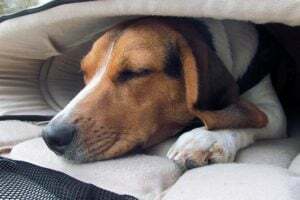 By providing this information, you can educate the transporter on how to best care for your pet, and ensure the most comfortable trip possible.